Twelve Crafts Till Christmas: any photo gift ideas? LOVE the flowers!! Mine bloomed for a week and looked amazing..then we had a frost and they all totally died...gah! Returning your follow from FMBT! Thanks so much for linking up..loving your blog already! 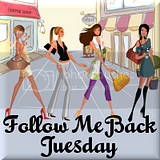 I am your new follower from Follow Me Back Tuesday. Thank you so much for following. Have a great week. Tulips are my favourite flowers!!! I had never seen black ones bofore though!!! I'd like using these as pictures on refrigerator magnets? Hello! I'm here from the TAT blog hop and your newest follower. You could make agenda covers! I've awarded you a blog award. Please stop by my blog to pick it up. I love photography and I take pictures my self and I never though of using my pictures in my crafts. I was thinking about it and bottle cap necklaces would be really cute. Also magents is a popular thing too. Also maybe you could copy them onto regular printer paper and use them as covers for journals. Hope I helped. calendars spring to mind, or notebook covers, magnets, a notelet set, generic cards (thank you, thinking of you, hi etc)... awesome pictures! I love your blog...what a great idea! I need to get crafing! You take great photos! Thank you for linking up with Follow Me Back Tuesday! I apologize for the late comment, but I am now following you. I hope you are having a wonderful week! I'm your newest follower from FMBT. Please drop by my blog and return the favor. I'm a new follower from Tuesday Tag Along. I hope you'll stop by and follow me too. 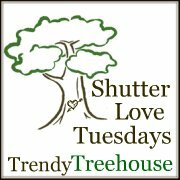 Congrats~ You made Top 10 at Shutter Love Tuesdays! I made a few of these for friends - I think the templates can be customized for any year. Lovely flower photos. Why not make a tulip calendar? Use an appropriate color for each season. There's also coasters and placemats. Hope you'll stop by and check out our glass vessel sink giveaway. Jane F.